Here is a selection of reds from the north-east of Victoria that should keep your mitts warm as the mercury continues to drop. I was introduced to Ian Bird after receiving an email where he asked if I would like to see their Route du Van wines. A few weeks later when he was flying back from the UK, we met in person and I was able to taste their wine that has proved a success story on the export market: this blend of 79% Dolcetto and 21% Shiraz. Route du Van is a labour of love for Ian Bird, his brother David and winemaker Tod Dexter. The north west of Italy and their juicy, finely tannic red wines inspired the blend. The nose opens wonderfully with classic Dolcetto elements of blood plum, blueberry liqueur and violets, while the Shiraz component seems to add fruitcake spice notes. The texture is voluptuous with a smooth entry and mouth filling effect. The medium-bodied nature of the tannins and long acidity further highlight the blend being dominant in Dolcetto. While it is not as savoury as a straight Dolcetto might be, the palate exemplifies great balance as a quirky take on what we can do here in Australia by blending a classic red grape like Shiraz with something less conventional. Try the Route du Van with anything that can come out of a wood fired pizza oven. Bobbie Burns is a stalwart of the industry. It is actually the name of a vineyard worked by Scotsman, John Campbell, who decided in 1870 to dedicate his life to the grape instead of gold. 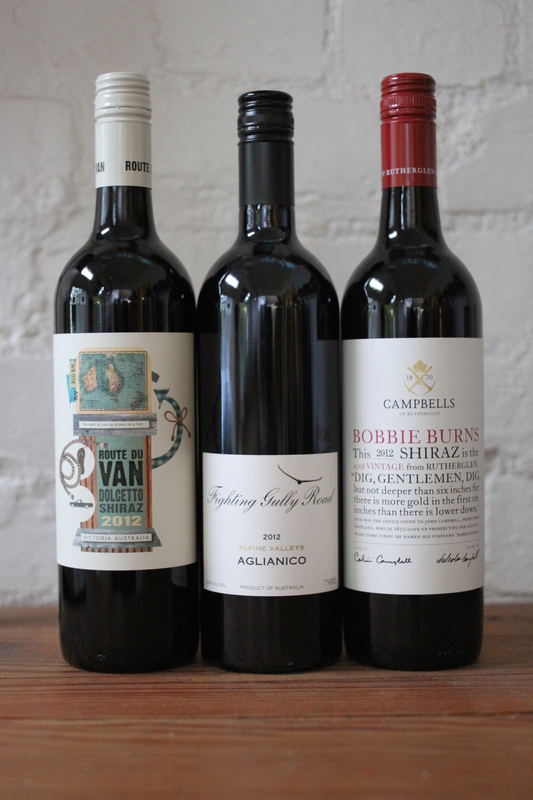 Today the Campbell family carry on the efforts of their ancestors and continue to produce this much-loved wine that ticks all the boxes for warm-climate Shiraz drinkers. The glass opens with generous fruit aromas of stewed raspberries and mulberries, lifted hints of vanilla and a touch of kola nut. The palate is immediately smooth on the intake with medium tannins and a nice silky finish. Throw in flavours of mixed spice and you have all the elements you need for a perfectly adequate pairing to a seared steak or beef burger. I am a big fan of Mark Walpole, the vigneron behind this wine. For starters, he can wear a sophisticated floral shirt like no other and owns a Piaggio Ape that he tootles around in around Beechworth. For this alone we could be immediate friends. However our friendship had more humble beginnings, developing a few years ago over discussion on Italian grapes and wine, a subject that Mr Walpole is highly regarded for here in Australia. 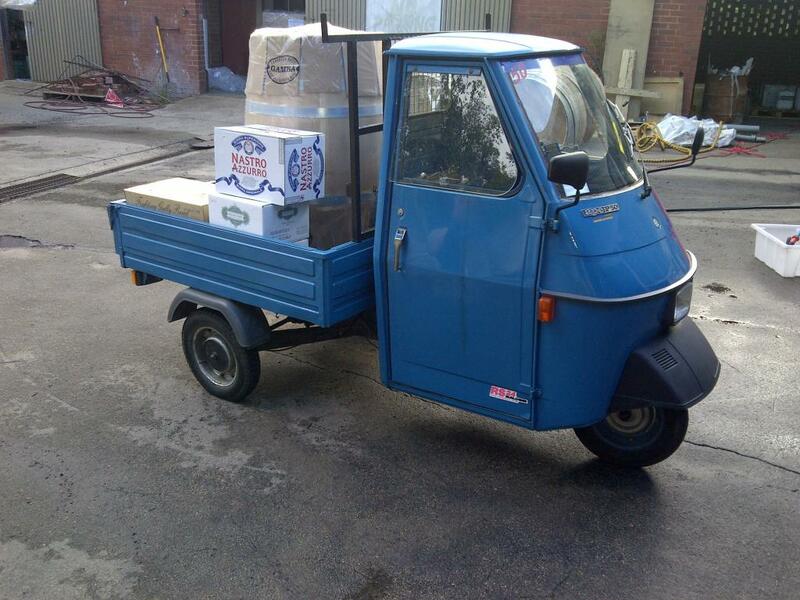 The Piaggio Ape…a three-wheeled vehicle typical in rural areas of Italy. The Aglianico grape is most famous in the southern Campania region of Italy. Mark got hold of some cuttings and had 1450 vines planted back in 2009 overlooking the Ovens Valley on an old bush vine trellising system called the quincunx. This method allows for minimal input in the vineyard outside of pruning and harvesting. The winemaking was also quite basic with a hot ferment that is then matured in large wood, although in Mark’s case, he had barely enough to fill one hogshead barrel. We’re not talking large quantities here. 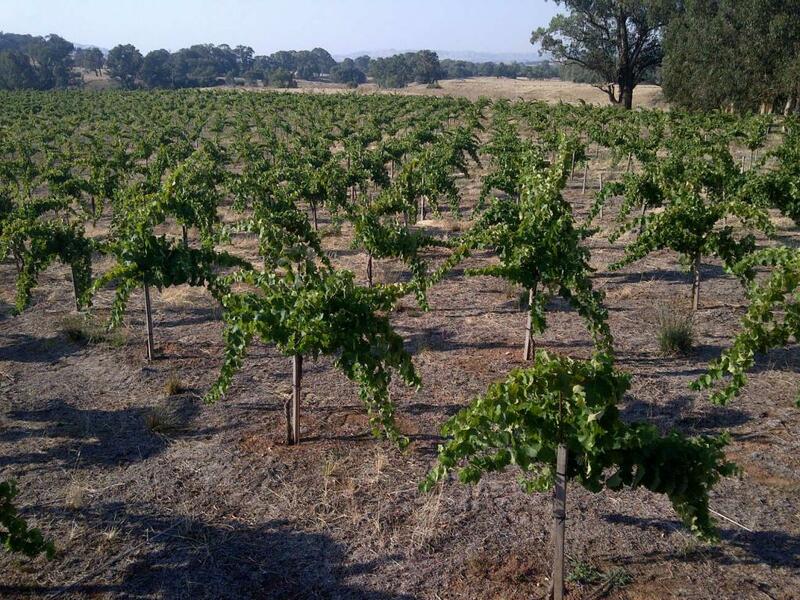 The vineyard in Beechworth on the quincunx bush vine system. The result is beautifully Australian and unique with aromas of eucalyptus and myrtle leaf alongside purple and black berries. There is medium acidity and chalky tannins that provide a nice earthy tone to the finish. I wonder whether it would be interesting to see this a bit riper, but it is still one of the better examples I have tasted of the Aglianico grape in Australia. For the full pleasure spectrum, try this with a hearty stew or soup.